Have you ever gone to the supermarket or mall with the BEST intentions only to walk out in a haze, poorer and with nothing you intended to actually purchase? Yeah... me neither (she said lying!!!). Today, we're going to talk about some things that stores do to trick you into spending money. You see these big colorful signs next to produce like avocados or maybe canned peaches. Or maybe over by the yogurt. And it's 10 items for $10. And you think, "Oh, that's a good deal. Let me put 10 items in my cart." However, you probably would get the $1 sale, anyway, if you bought one item or five items or six items. You don't need to go and spend $10 on 10 cartons of yogurt. You could probably get it cheaper than that, anyway. Look at the fine print on their signs and see if you'll get the deal without buying 10 items that you may or may not need. The almighty impulse zone!!! You guys know what I'm talking about. It's right up there by the checkout where they have magazines and candy because your kids are like, "Oh, what's that?" Or in Old Navy, where they have all the water bottles or all the lipsticks or all the little bottles of lotion at Bath and Body Works. It's that area in the store where you're more likely to just grab something because it's a couple bucks -- even if you don't need it. Or in retail stores, like clothing stores, they'll have clearance items that might not be that great of a deal, to begin with or things you didn't want. And they're right up there next to the checkout because while they're waiting in line, "Oh, what's this? Let me just go through this big pile of tops and see what I can find for $2.99 -- whether I need it or not." No. Keep your eyes on the prize and the prize is the exit: getting out with what you need and nothing more. I don't know what it is. Something about not paying taxes just throws us Americans. The most you'll save is 7-10%. So instead, shop that store's back-to-school sale. The following week they may have a 20, 30, 50% off back-to-school sale and you'll end up saving even more money instead of saving just 7%. The cost sections or cost zones are produce, dairy, meat -- anywhere where the stuff can go bad and they're going to have to throw it away if it doesn't sell. You're going to notice that the produce department and the dairy department are at opposite ends of the store. That's because they want you to grab your apples and your lettuce and then walk all the way across the store, past the colorful end caps, pass all the sale items, pass all the impulse areas to get your cheese. Don't fall prey to the fact that they have laid out the store just to trick you into spending more money. Go armed with your list. Have you seen the size of shopping carts? It reminds me of goldfish. A goldfish grows based on the size of his tank. With the giant shopping cart, your grocery budget will grow to fit a giant shopping cart if you're not careful. That's why I love Publix because their shopping carts are still the same size. I know this because I put a baby carrier in it and it hardly fit, whereas when I go to Walmart, I could fit, like, a whole family of seven in my cart, if I really wanted to. So keep that in mind, and again, stick to your list. If you want some inspiration I wrote a post on Meal Planning Hacks. 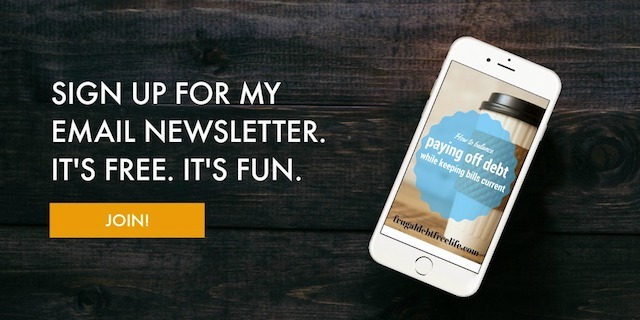 I talked about making your list and how to save money on meal planning. So go over there and check that out.